Surprise! No, this isn’t the recently teased SOC GX-81 release Tamashii Nations has been talking about on Twitter. 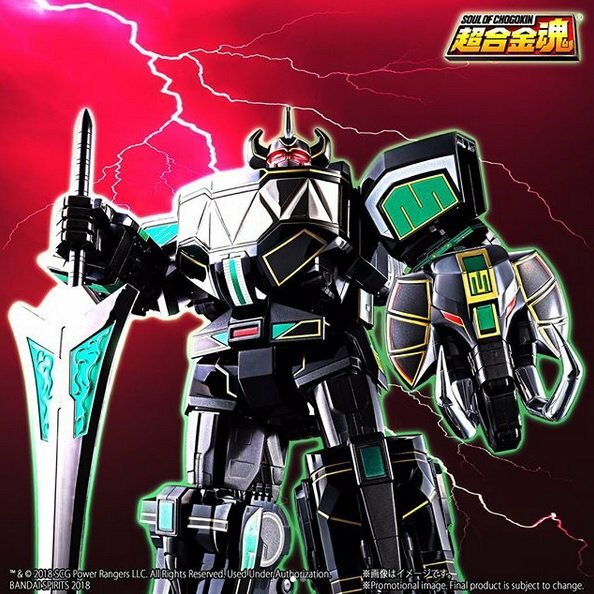 This year’s con exclusive release is indeed a a Black repaint of the SOC GX-76 Megazord/Daizyujin Taking a current from Transformers repaints of the same variety, rather than use the usual gold accents we see with Black Megazord & Daizyujin repaints, this one opts for teal accents. Nemesis Megazord am I right? This release will be exclusively available at San Diego Comic Con 2018, at the Bluefin Brands booth.